Here is an extreme Sudoku challenge created with five 9x9 grids that are interlaced in each of the 4 corners of the center grid. These 4 corners are shaded, which helps to orient the puzzle solver to areas shared by two puzzles. 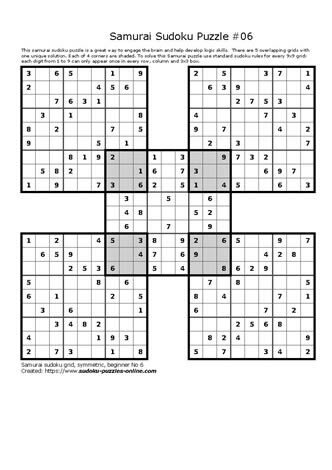 This increases the challenge in the puzzle because the basic rules of Sudoku need to be followed between 2 puzzle grids.